Today I decided it was the appropriate time to upgrade my work PC from Windows 7 to Windows 8. 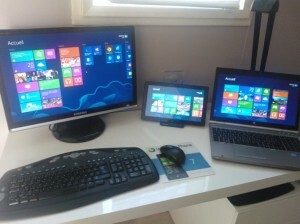 I’m already using Windows 8 on my personal PC as well as on my //BUILD/ Slate. Re-installing an OS is never really exciting but this time I faced an interesting challenge… In this short blog post I share this story ! 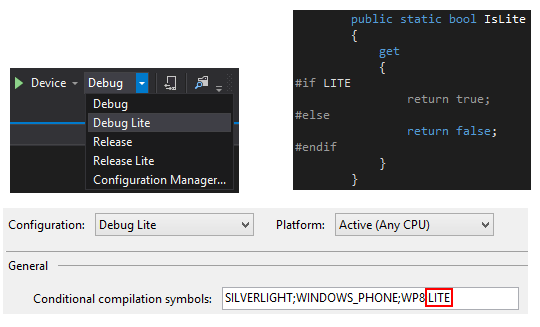 I also would like to install VS2012 but one of the .Net component I’m using in the large WPF app I’m currently working on has a bug with .Net 4.5. If I install VS2012 .Net4.5 will be installed to and prevent the execution of my app. This was at least the behavior I found out on Windows7 while taking a look at VS12. The team in charge of the component (which are co-workers btw) are aware of the issue and already fixed it. We didn’t integrate their last version yet however. Ok, everything is installed. Time to check I can run my app. Arrrrg !!! Crash !!! go back to Windows 7 and reinstall everything again. I didn’t have the time for that. remove .Net 4.5 from my laptop. This is actually not possible since .Net 4.5 comes with Windows8.